Today 125 million children do not get any formal education at all. This education crisis undermines any chance of rapid progress in human development. 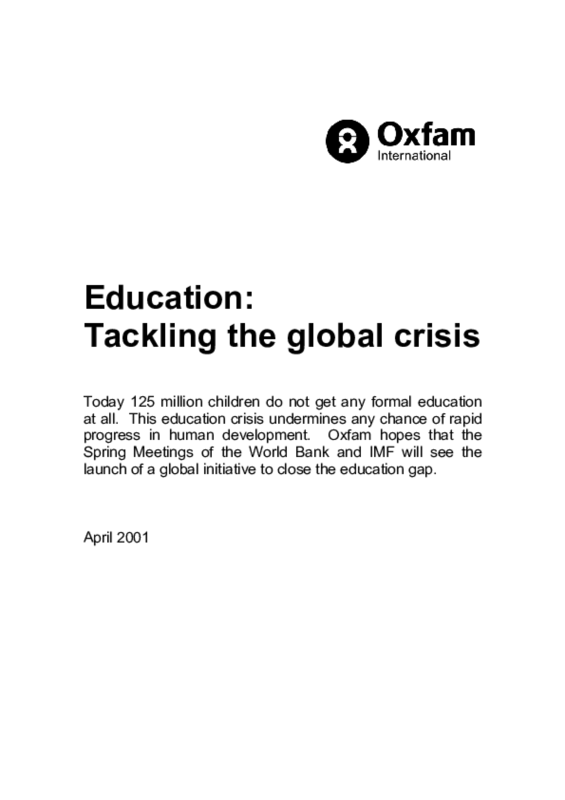 Oxfam hopes that the Spring Meetings of the World Bank and IMF will see the launch of a global initiative to close the education gap.